The Colorado man has two hands: one hand to hold a pint of some of the state's finest brew, and the other one for slyly scratching his nether regions when no one is looking holding a delicious bite of food. 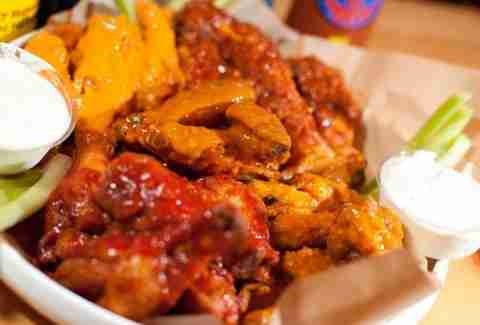 To help you decide which food to hold, here're the raddest spots in town to get your mitts on some fresh wings. They're so good you'll use both hands. 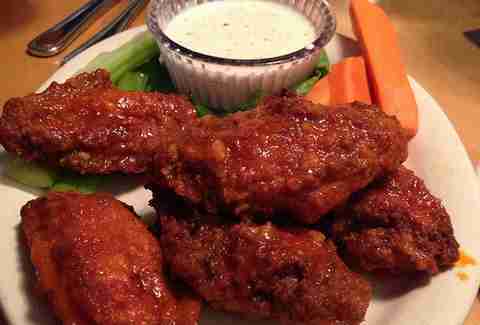 This neighborhood standby offers their Stranahan's Barrel Smoked Wings with a homemade tap sauce. Be sure to pair it with one of their many craft brews on tap. 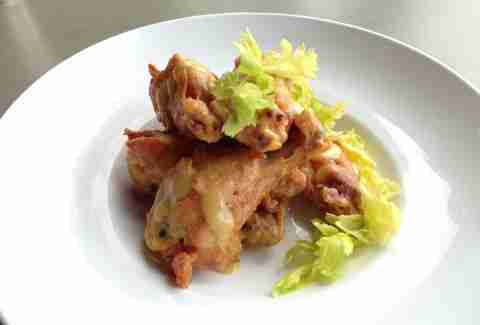 Yeah, they're not exactly wings, but the Southwestern restos quail legs are wings on steroids, and likely will be banned by MLB for 211 games. 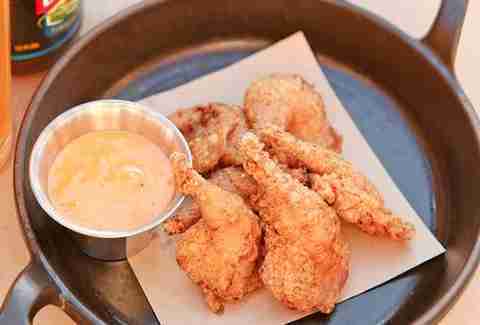 The legs are flash fried to offer a good dose of crispiness, and then paired with an achiote buttermilk ranch as a dunk tank. 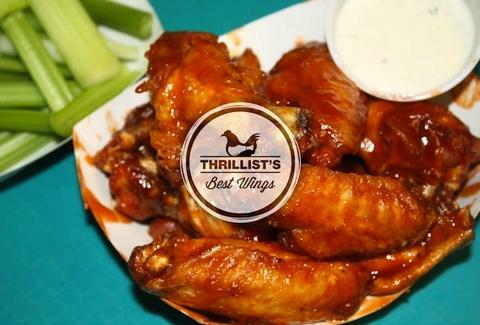 The "kind" people of this craft brew pub offer their tasty "locals favorite" Mountain Sun Wings that come with either BBQ or hot sauce. Grab a bag pint of their Colorado Kind and dig in. 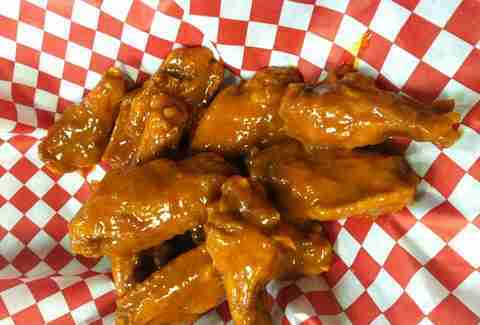 Their famous Buffalo style chicken wings are all the way out in Morrison, so stop there and gorge yourself before a Red Rocks adventure. Choose from 9 different flavors (teriyaki, spicy BBQ, etc.) -- all of which are cooked to order. 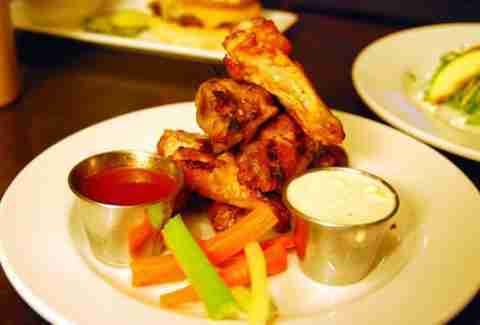 Sit out on their Highland patio and devour their inspired Confit Chicken Wings paired with a delicious honey dijon sauce. Just make sure to pronounce it "con-fee" or risk looking like an imbécile. This legendary spot is worth the drive to Westminster, as they offer bone-in and bone-out pieces in flavors that range from mild to suicide to... Uncle Nasty's House. 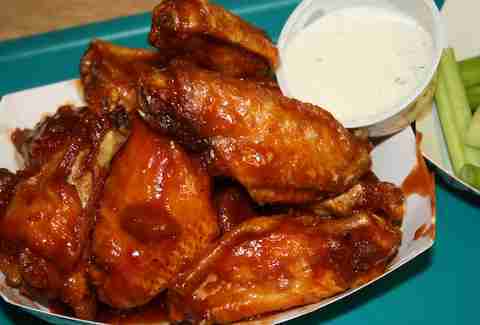 They might as well call those wings Everlast, because it's also a House of Pain. This resto got its start in Portland, but they use local RedBird Farms free range chicken, fry 'em until crispy, and then toss them in unique sauce options like raspberry habanero, bourbon chipotle, and Buffalo lime cilantro. 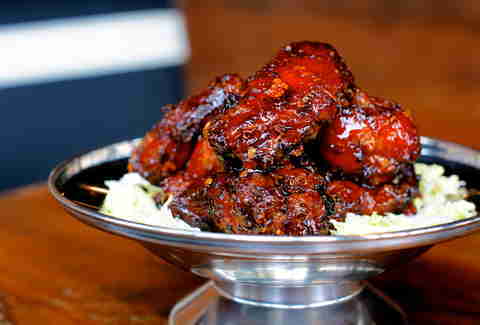 The ping pong palace is honoring the flavors of Asia (not golfer adultery) with these "Tiger Wings". They're triple fried to ensure an extra layer of crispiness, and then blasted with the ever-so-funky fish sauce for a sweet and salty profile.